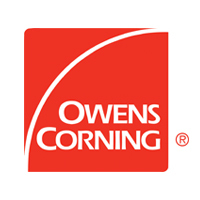 Owens Corning offers builders so much more than just PINK® insulation. We deliver a material difference for your business. With new and better ways to create the kinds of homes today’s buyers are looking for. Solutions that take a whole-home approach to improve performance, while helping builders boost their productivity and competitive advantage. And a full line of fiberglass, foam, mineral wool, and cellular glass products and systems. With a relentless commitment to improving homes and lives through science, creativity and collaboration, we don’t just make insulation. We make home a better place to be.